Dr. James H. Philip, M.D., CCE is an Associate Professor of Anesthesia at Harvard Medical School. Dr. Philip is an Anesthesiologist and Director of Bioengineering at Brigham and Women’s Hospital, Medical Liaison for Anesthesia for the Department of Biomedical Engineering for Partners HealthCare System. He serves as a Member of Medical Advisory Board at CRISI Medical Systems, Inc. He is a Founding Member of the Society for Technology in Anesthesia and served as its President from 1999 to 2000. Dr. Philip’s career has focused on engineering the medical environment, to make it safer, more effective, and less costly. 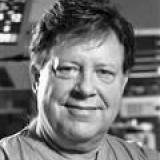 He has numerous publications, patents, and accomplishments in many clinical technology areas.